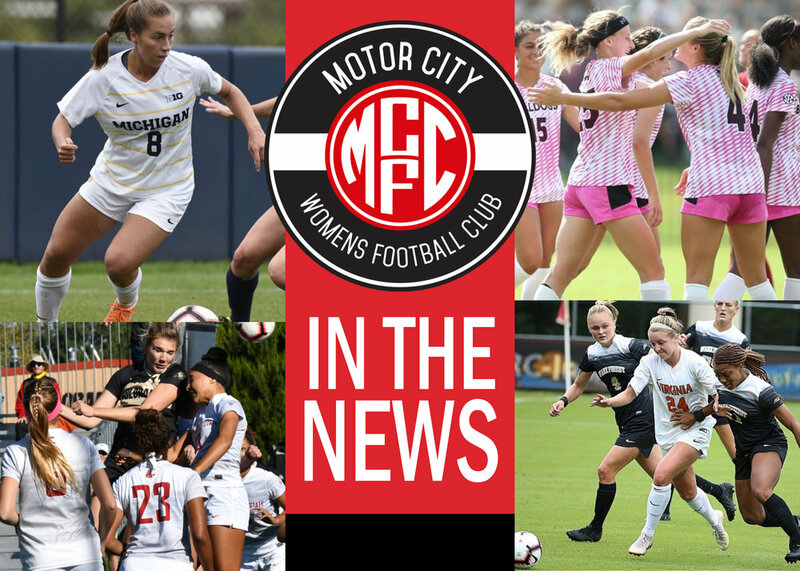 Sarah Stratigakis and Reilly Martin contributed to the 1-0 shutout of Ohio State on Friday, Oct. 5 at U-M Soccer Stadium. Stratigakis took a team-high five shots on the night and Martin assisted on the lone goal by Nicki Hernandez in the 54th minute. Sarah Stratigakis scored her sixth on the season, and the Wolverine’s lone goal in the first half as the Wolverines faced Penn State on Sunday, October 2, 2018. The Nittany Lions rallied in the second half to defeat Michigan 2-0. Reilly Martin put three shots on target in the game. Freshman Alexa Spaanstra assisted on the only goal of the game as Virginia bested Louisville 1-0 on Thursday, October 4, 2018 at Lynn Stadium. Spaanstra recorded a goal and an assist as the Cavaliers shut out Notre Dame 3-0 on the road, Sunday, October 7, 2018. Sophomore Bethany Kopel made five saves as Indiana recorded their first home loss of the 2018 season 2-1 to Wisconsin on Friday, October 5, 2018. Brenna Lovera had four shots and Marissa Viggiano had three shots, all on goal as the Northwestern Wildcats lost 1-0 to Rutgers on a golden goal in the 97th minute in overtime on Thursday, October 4, 2018. Lovera netted her sixth goal of the season, assisted by Viggiano, but it wasn’t enough as the Wildcats dropped a 1-0 decision to the Maryland Terps on the road Sunday, October 7, 2018. Carly Mauldin registered three shots in a hard-fought defensive battle as Mississippi State dropped a road match 1-0 against Vanderbilt. Mauldin scored a pair of goals on Sunday, October 7 as Mississippi State scored a record-breaking 5 goals defeating Alabama 5-2. Colleen McKay contributed six shots as Western Michigan downed Miami 2-1 in double overtime home match on Thursday, October 4, 2018. McKay contributed a team-high 5 shots (3 on frame) as Western Michigan dropped a 2-0 decision to Ball State on Sunday, October 7, 2018. Bowling Green Senior Elisa Baeron contributed three shots in a 1-0 victory over Eastern Michigan on Sunday, October 7, 2018. The Falcons remain unbeaten in the MAC Conference at 6-0-0. Madison Alexander had the best chance to score as Florida dropped a 1-0 decision to South Carolina on Sunday, October 7, 2018. Purdue Senior, Sarah Clark’s corner kick set up the equalizer in the 54th minute before Minnesota scored in the 70th minute for a 2-1 win over the Boilermakers at home on Friday, October 5, 2018. Taylor Korniek scored the first on Colorado’s three goals as the Buffs bested Washington State 3-1 on Thursday, October 4, 2018.